Her hair is getting too long. Yesterday I experimented with piggy tails. She loved it. 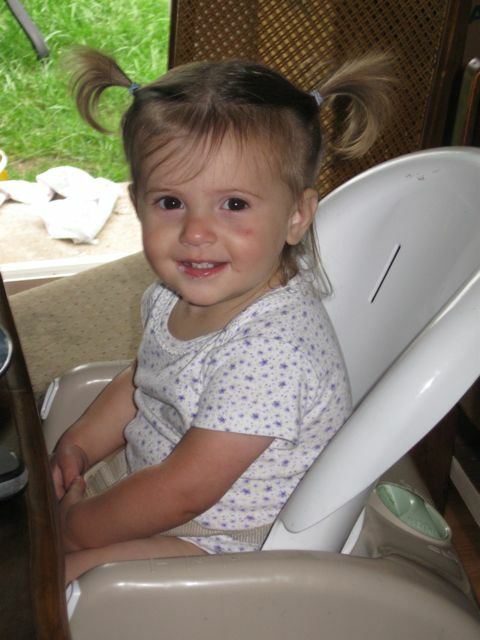 Also, we finally retired the high chair and promoted her to a booster seat at the table. It was way past time. Now she’s so much happier about meals. And already trying to climb in! The cheek: just another hazard of toddlerhood. She fell and caught it on the corner of the book basket.